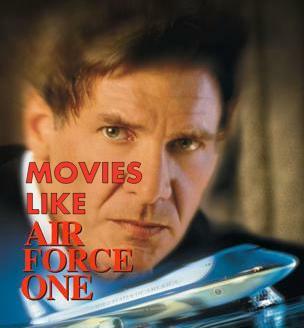 Movies Like Air Force One '+g+"
Check these list of movies like Air Force One which is an action drama movie with Harrison Ford playing as James Marshall once a Vietnam War hero who is now President of the United States. Hijackers seize the plane carrying him and his family, but he works from hiding to defeat them and save his family. Don't forget to mention if we miss any other similar films as we keep on updating this list. Die Hard (1988),......if you can think of more, then don't forget to mention it in comments.